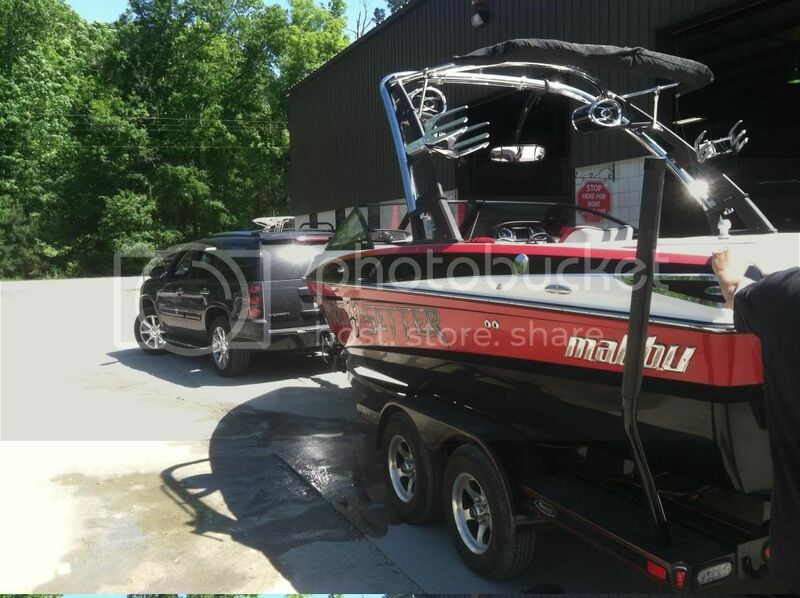 New Malibu owner, coming from moomba! Been searching the forum the past few week and all i can say is wow! This is by far the best knowledge base in a forum ive seen for boats! I picked up my 2010 VLX last saturday and up until then I had a 2009 Moomba XLV Gravity Games. The VLX is everything I could have hoped for. Should have went with the Bu' in the first place. One drain pump keeps blowing fuses so I ordered a spare and will try to clean it first and I also ordered wetsounds pro696rs to replace the mbquarts! It has an 1100lb in each locker and I was amazed at the surf wake with just the hardtanks full and wedge down. 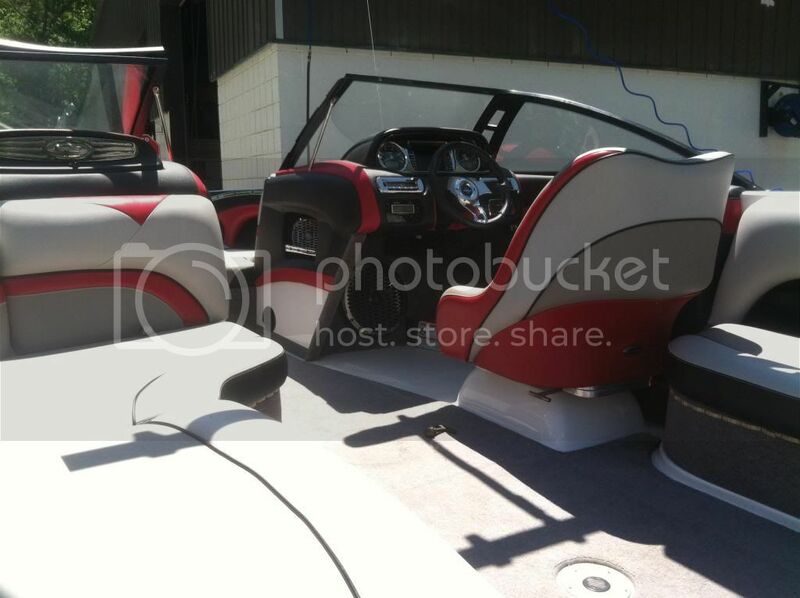 Kicking myself for buying the moomba first, these boats are amazing. Pics of course! Looking at the pics does she have led strip lights under endge of the seat cushions? to the crew. SUPER nice boat, and I like your rig too! Looks like a 2011 or a late 2010. Great looking boat either way! Looks great! Just in time for the boating season! Your right just in time! 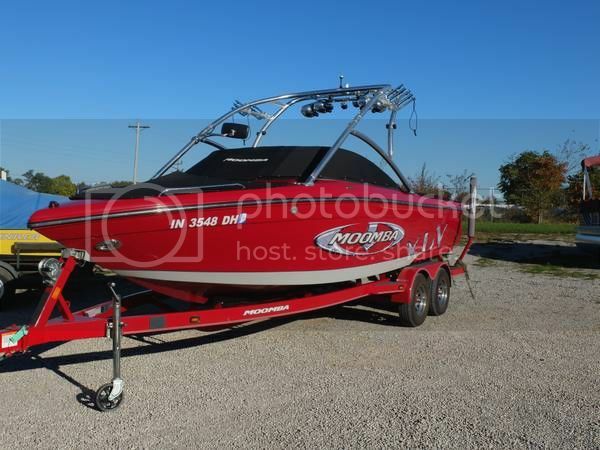 Once I sold the moomba there was a week full of panic trying to find a new boat. Now just have to enjoy it and get it ready for Brostock! Haha, I know how that is. My boat has been sitting at the dealer since february, but there was a moment where I thought the slip and lift we are keeping our boat at wouldn't be ready before the boating season. Not the end of the world, but there was some panic involved. Judging by the lack of MTC, it is a 2010. Beautiful color scheme I love it!! nice boat, I think its ditto my 11 in colors ! Glad y'all like it! Seems like there are alot of moomba converts here, I made the right choice! Excited to get out this weekend and get some boarding in. Thanks Wdr I will check those two connections. Im installing a equalizer for my master volume anyhow but just wondered why it was showing nothing! I'll start a thread for my eq and wetsounds install once they get delivered, its going to be a great summer. Nice Bu, I've seen more and more Moomba Mojo's on my lake recently and they look like nice boats, the wake looks decent as well. I know yours was a different model but they seem to be nicer than i rememeber. I thought about stopping and talking to a few guys i saw surfing last weekend but as i got close i could see one of them was wearing a fadora, for some reason i decided not to stop. Moombas are great boats, and a bargain at their price. It was our first wakeboard boat and was amazing. The board wake was pro level but the surf wake was so short and tall no matter where we added ballast and now that we surf 90% of the time it wasnt cutting it. We could have had a brand new moomba for the price of this malibu with 300hrs, but it came down to two things, comfort and handling. Our XLV handled similar to a 90s minivan, coming from a DD Nautique this was awful. With heavy ballast it took every 340 horses to get it up out of the water and it felt like an IO accelerating. Sharp turns with ballast would result in cavaitation. The handling of the Bu is truely something you will find in no supra or moomba model. Its unparreleled. 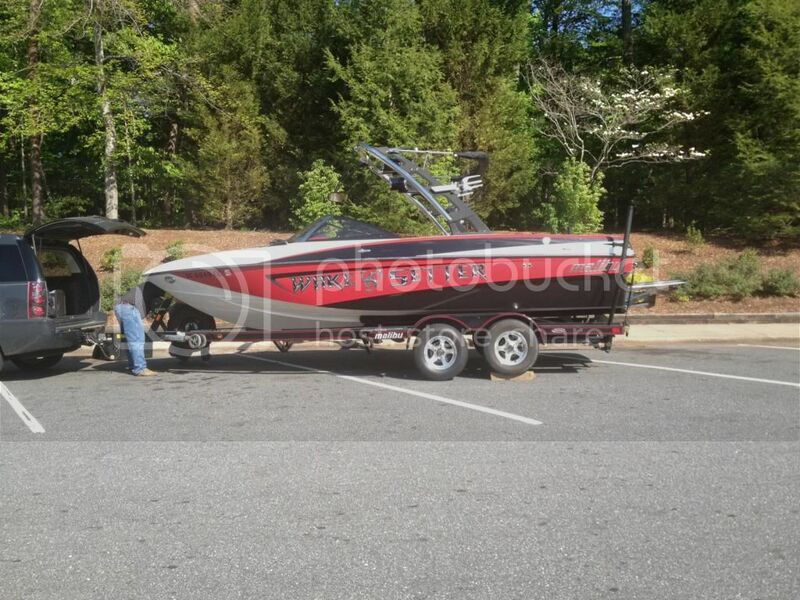 Also with the same weight this boat flat out gets it out of the water and outhandles the moomba 10fold. And not suprisingly the malibu handles waves much better. We had nothing but great times on the Moomba but I do know it would be hard to go back. The details are what make malibu a top tier boat, ergonomics, handling, product quality, driver expereince. The price difference is justified in my mind... Did i mention I love the way the Malibu Drives? Disclaimer: No fedora were worn in the usage of this boat. Another also another good looking boat!